For almost 40 years, The Yard Restaurant has offered quality dining and entertainment just over the town line in Manchester, New Hampshire. Owner and operator Ron Doucet once owned the Bandy Barn on Route 102 in Londonderry. In a partnership with his mother, Doucet eventually sold the Londonderry restaurant and continued in the business by opening the Yard. Open for lunch six days a week, dinner seven days and brunch on Sundays, the Yard Restaurant has always striven to keep their ingredients and menu selections fresh. “Through its 37 year history, the food and menu has really progressed over the years,” said Doucet. Fresh seafood, top-of-the-line beef and local, fresh and organic produce when available, the food is constantly being upgraded and improved upon. The Bandy Barn stood where Mark Lawrence Photography stands now. Prior to burning down, the restaurant’s most famous patron was Ted Kennedy when he stopped in during his campaign for presidency. Chefs at the Yard continue to stay current on the latest in techniques in the cooking industry. “Even though the restaurant has been around for 37 years, the menu has changed and the food in the most current,” added Doucet. During lunch, a full buffet bar is available as well as the full menu. During the evening, the salad bar can serve as dinner, or a simple side with an entree. The Sunday brunch is one of the best in the area, includes many different selections and is economically priced. The entire menu is also available for takeout. Every Saturday night, The Yard Restaurant hosts a Midnight Rodeo club with live entertainment. The club opens at 7 PM with line dancing lessons from 7:30 to 8:30 followed by live country music beginning at 9 PM. There is a small cover charge. The restaurant also features a bar open until 12 AM nightly with the full menu available. Over the years, the Yard Restaurant has become more than just fine food. 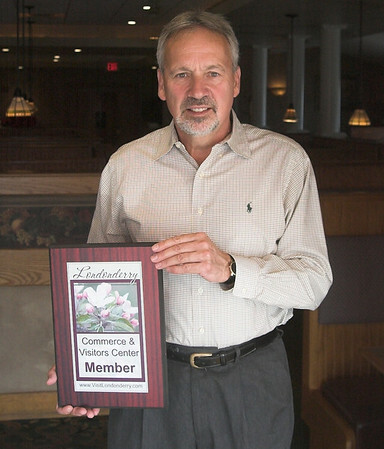 After expanding into a banquet facility, Doucet added hotel services about fifteen years ago. The Executive Courtyard is able to host parties up to 400 people, but the room can be divided for smaller parties. The 135-room Best Western Hotel has the ability to provide full wedding services; there are two locations outside to host ceremonies, discounts on rooms for wedding guests, and more. The Yard Restaurant is open for lunch Monday through Saturday from 11:30 AM until 4 PM; for dinner Monday through Thursday from 4:30 until 9 PM, Friday and Saturday from 4:30 until 10 PM, and Sunday from 3 until 8 PM; and for Sunday brunch from 10:30 AM until 2:30 PM. The Pub at the Yard is open Monday through Saturday from 11:30 until 12 AM and Sunday from 10:30 until 12:30 AM. Visit the Yard Restaurant on Route 28 in Manchester, just north of the Londonderry town line, or online here.